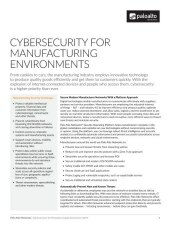 Protect against Industry 4.0 attacks with integration and automation. From cookies to cars, the manufacturing industry employs innovative technology to produce quality goods efficiently and get them to customers quickly.  With the explosion of internet-connected devices and people who access them, cybersecurity is a higher priority than ever. 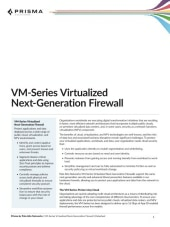 The VM-Series has been optimized and expanded to deliver industry-leading performance of up to 16Gbps of App-ID-enabled firewall throughput across five models. 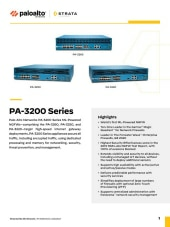 The Palo Alto Networks Security Operating Platform prevents successful cyberattacks through automation. Accurate analytics allow you to streamline routine tasks and focus on business priorities. Tight integration across the platform and with ecosystem partners delivers consistent security across cloud, network, mobile devices. Customers love our security, because it just works, consistently awarding us the highest loyalty rating in the industry. 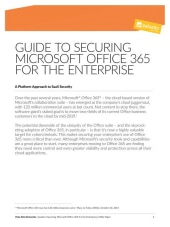 Download this At-a-Glance document to learn more. 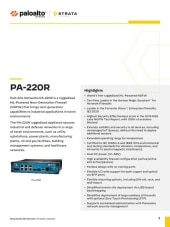 Palo Alto Networks ® PA-220R ruggedized appliance brings next-generation capabilities to industrial applications in harsh environments. 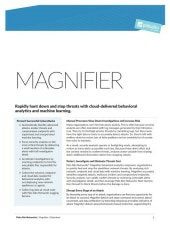 Download the datasheet to learn the key features and benefits of Magnifier Behavioral Analytics, the first application for the Palo Alto Networks Application Framework. 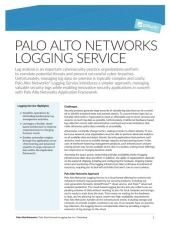 Palo Alto Networks® Logging Service introduces a simpler approach, managing valuable security logs while enabling innovative security applications in concert with Palo Alto Networks Application Framework.